I Am Here, My Mind is Here, My Body is Here, What is Life? I AM HERE, MY MIND IS HERE, MY BODY IS HERE AND WHAT IS LIFE ! C. I AM HERE, MY MIND IS HERE, MY BODY IS HERE! “I am here. I have a body. My body—is my body taken by all the conversation we have? My body is here. My mind is here. And my feeling is here. Are there other energies or not? I must know. One must know. One is made out of how many energies? I see that when these energies are related, more together, I am open to a new vision, to a new intelligence which I was not open to before, and which gives me a feeling of—freedom, which I never knew before. The relation between these energies gives me a freedom. It is another energy which usually in my life I cannot have if I don't feel that. This talk is truly living in Real I Am! Can you do it? Try, try again; and again until you experience this ‘I AM’ in you! But outside you there are many things, they are also inside you now all at the same time. Close your eyes now, yet the outside is just darkness or your own projected light. You can run all your way in the inside objects and to the GREAT ONE inside you too; you can also run all the way on the outside objects as they are also inside too, in and out to the GREAT ONE. You can finally choose NOT RUNNING and keep yourself in STILLNESS. You are meditating! Inner stopinders go sociocosmic as reflections in you! 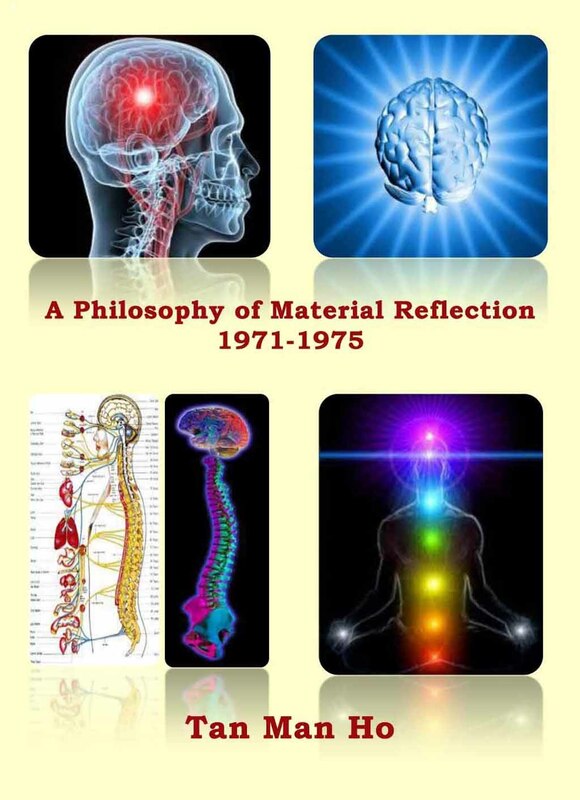 1 Although it is quite obvious that the nourishment of the physical body is useful for fertilizing the soil for other beings, the nourishment of the psyche body for the “intelligent matter of the universe” is not obvious. If our intelligence is refined to a higher level, the fertility of intelligence for our universe would greatly increase. The Absolute of this universe breeds us so as to harvest our being-psyche hydrogens when the time is ripe, HE values our psyche more than HE values our physical body. The Earth is HIS breeding laboratory placed by HIM according to the Octave Law at the MI-FA Interval in our Ray of Creation and it is unlikely that HE will forbid us from breeding our stock in other rays of creation because if we could do this, we would further develop our fine intelligence for further benefits of our ever conscious universe. The more we cultivate our psyche, the more HE values us because HE would enjoy a fine harvest for the awakening of many beings in HIS universe. The harvesting of being psyche hydrogen by the universe can be continuous, periodic, occasionally, “seasonal” and “not harvest”. The choice is not for us. 2 Life is something determinable by two sets of axes – three time axes and three space axe if space is not ‘voluminous’ for life, then life would be moving along the three time axes. If time is not “given enough” that is one axis and space is large, life would be one dimensional and move in the space axes. Reincarnation, eternity, life, non-life, and life-motion are all possible depending on how and where the life line moves. When a being is dying, it is withdrawing from the space axes and approaching and moving more and more on the time axes. Being–psyche hydrogen is extracted and redistributed through the time axes into various “time axes” of the universe, before finally, they move out into the space axes again to create the phenomenon of birth, reincarnation or creating new life. When life continues to be retained and continuous exchanges keep its presence, irrespective of the flow of time, it is eternity. 3 The organic beings are created to produce the psychic energy necessary for the maintenance of the rays of creation. The light energy is created for brightening these rays. The psyche hydrogens have also gathered in the World Wide Web or the internet world in HIS technocosmic rays. 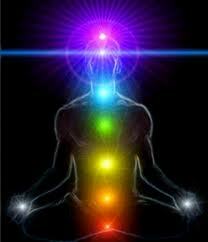 All these energies are the “absolutes” in the body of our Omni-Great Cosmos. 4 If the FA–sociocosmic octave, the SO–sociocosmic octave and the LA–sociocosmic octave become the abnormal King of the Great Sociocosmos, the MI–sociocosmic stopinder (family-stopinder) would become empty shells with no parent and children around. There are many homeless individuals and family breakups in the world. 5 Man would have to seek for a right and balanced path with his inner and outer nature. The outer nature comes to him as octaves – the tritocosmic octave the sociocosmic octave, the technocosmic octave, other biocosmic octaves, the cosmic octave and the wave-particles universal exchanges such as the light octaves, the octave of the other elementary particles, the psyche hydrogen octave, the sound octave, the atmosphere octave and the asteroid octaves of the Great Cosmic Being. "He" is still inside his tritocosmic octaves (man-octave) as its apex of fine vibration "note". A way of life in all previous "philosophies", "teachings" and "religions" would only be an "isolated path" that would encounter difficulty as it has to survive side by side with all the other octaves. This is his living path. At the end of this living path, he must “let go” completely, and let everything take its own course ‑ to the rascooarno (death). Along this path, he could only “let go” partially. When he “let go” he meditates, when he “absorb” he acquires and learns, and when he dies, he releases everything from him to the respective octaves. 6 The development of the cosmic octave theory is an attempt to find a way to “locate” organic beings for other Rays of Creation. It is a mathematical postulate based on the theory of harmonic octave vibration. It is proven for our Ray of Creation, but not proven for other rays. However, it can help us to choose the “right” planet for detail observation. 7 Askokin is so vital to the moon that some of it are extracted through the process of ‘accidents,’ ‘legalanaic capital punishment,’ ‘wars’, ‘fights,’ ‘murder,’ ‘manslaughter’, ‘suicide,’ ‘homicide’ and mysterious deaths of human beings. 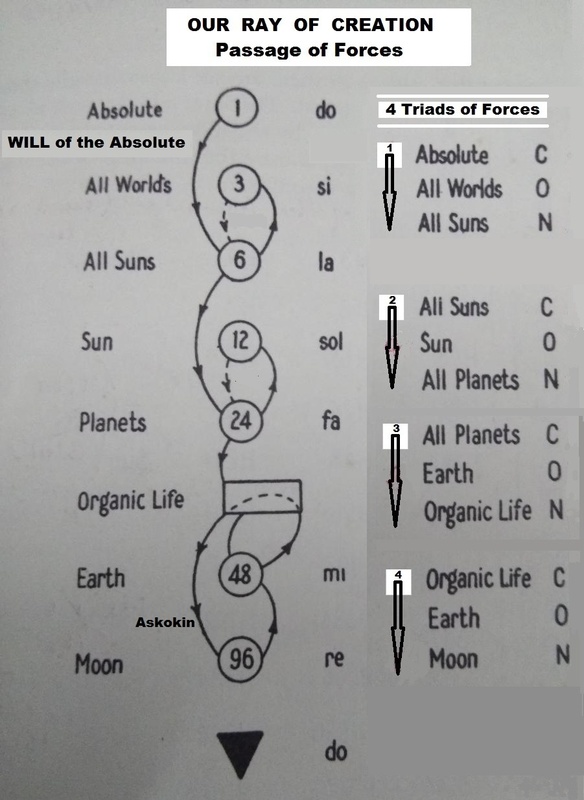 Also lower grade askokin are extracted from the lower organic beings and some emanations from the sun and earth. When more and more laws are created by these three-brained beings at the service of the forces of solioonensius and askokin demands, more and more deaths occur for the maiden askokin supply. A legalanabuffer is necessary to distort the view of a “killing by the law at the third factor”. 8 To give independence to their techno-beings from the biocosmic beings of the biocosmic octave, these learned technologists work very hard day and night to create and perfect the third body (driver body) of all their techno-beings and over many decades. And one such consequence of hard work was the successful perfection and stopinderation and digitalization of the “electronic concentration” of this third body. Electronic equipment were developed to microprocess these electrons, and one such successful equipment was the robotic computer which could wonderfully microprocess and program the electrons to “instruct” the second and the first bodies of all the very importance techno-beings. Nevertheless, some “intelligences” have been extracted and micro-processed from the “electronic concentration” and this new concentration mass is called “artificial intelligence” which is supposed to be a level lower than the more superior “natural intelligence” already “perfected” in the biocosmic beings. However, the biocosmic beings, besides processing the “electrons” for artificial intelligence, could also process being-psyche hydrogens for developing natural bio-intelligence, which possesses life force whereas the other possesses synthetic life force. 9 At HIS MI-FA interval life forming being psyche hydrogens are abundantly created and accumulated through those biocosmic beings there breeding in large numbers and trioctaving at various degree of development and are coated on the surface of all His cosmic stopinders bearing the name ‘Earths’. It is from these reservoirs of being psyche hydrogens that life is siphoned to various neighboring cosmic stopinders for the posterity plan. 10 Each solar system has at least one (or two or none) planets that produces and stores being psyche hydrogens in abundance. These being psyche hydrogens are elementary particles in the elementary octave that would transmit intelligence or consciousness or awareness or mind or psyche or knowledge or life. 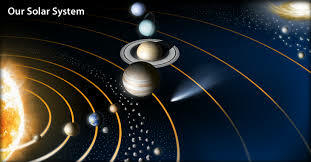 However, the ‘octave of photons’ and other accompanying ‘octave of electromagnetic waves’ are continuously sent to all the planets and their orbiting satellites as raw ‘foods’. Only the organic beings on Earth are actively processing them for “intelligent storage” in the “storeroom” of each and every organic being. 11 During this Industrial Revolution Period, these scientists and engineers who worked hard on the processing of “electronic beings” were then very successful in producing a variety of electronic based machines for the growth of the technocosmic octave. Nevertheless, none of these ‘electronic and electricity-run’ beings have been able to use being-psyche hydrogen for running them, as with the organic beings which is run by being-psyche hydrogen as well as electricity. Thanks to this difference, future electronic machines would continue to remain as member of the technocosmic octave, and would “create” for themselves, logically, an artificial intelligence world run also by certain primitive being-psyche hydrogens of the organic octave. These special breed of intelligent electronic-machine are also gradual moved out into the ray of creation or the cosmic octave for doing their little role in the maintenance and vivification of the ray, without which the ray would “die”. 12 The creation of a face is never left out with every organic construction of a spherical hollow shell. Thus a coconut or an oil palm fruit has a face built in the shell, so is the construction of a skull. There is a link between ‘face’ and ‘spherical hollow shell’. Every natural spherical form of the biocosmic octave tends to take a form like this! 13 He runs about in His own body and never leaves it. I, too, run about in my own body and never leave it. Not even during astro-traveling or rascooarno. In rascooarno, I am switched off and cannot remember myself because I have drunk the ‘water-to-forget-everything’.